One question I get asked a lot is, "What should I order?" 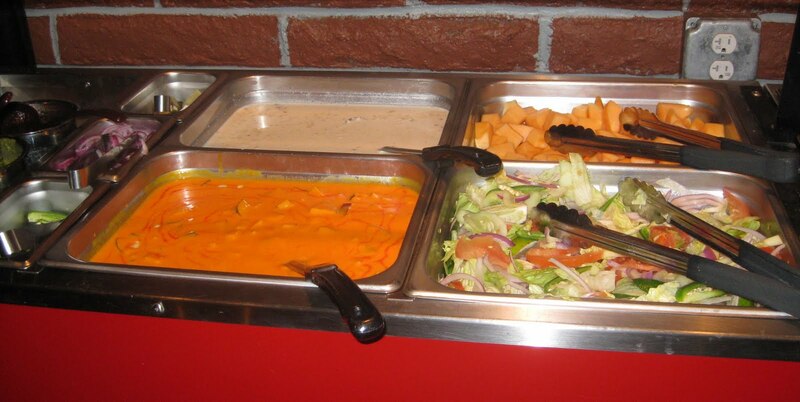 My best response is: If you haven't ever had Indian food before, try a buffet. 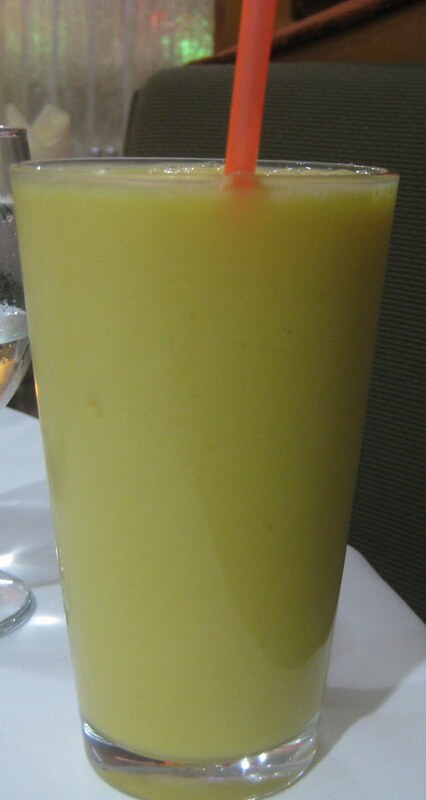 Most Indian restaurants offer them daily for lunch (and on Sundays, many even offer brunch, including champagne -- not an Indian beverage, but a welcome addition nonetheless) and they range in price from about $8 to $15. They typically offer some of the most common Indian foods, usually including a few veggie dishes (like saag, the curried greens dish this blog is named after), meat dishes (like tandoori chicken and chicken or lamb curries), rice, and a dessert or two. 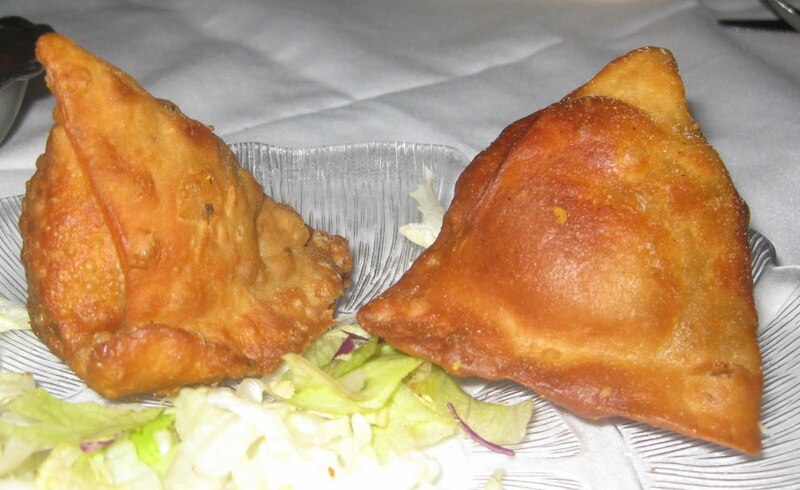 [appetizer] samosa: a fried pyramid-shaped turnover that's stuffed with any number of flavorful fillings. 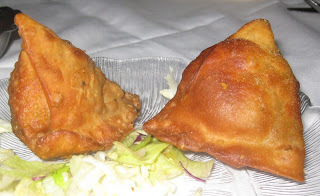 (There are typically multiple samosa options listed separately on an Indian menu, one for each of the restaurant's filling choices.) One of my favorites is a cauliflower samosa. Some of the more common options include potato samosas and ground lamb samosas. [entree] tikka masala: a curry sauce that is yummy to the American palette because it's tomato based and slightly sweet. 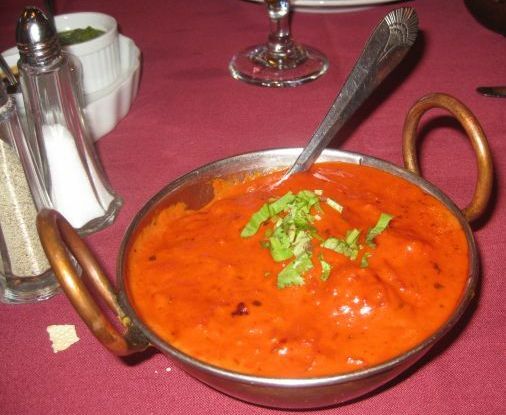 Like samosas, the word "tikka masala" can be preceded by any number of descriptive words -- chicken tikka masala, mushroom tikka masala, tofu tikka masala, etc. -- and that choice is up to you. [side] naan and/or rice: naan is a soft Indian flatbread that's traditionally cooked in a tandoor oven. It looks a lot like pita bread. I'd recommend either an order of plain naan or garlic naan. As far as rice goes, the rice served in Indian restaurants is typically white basmati rice, a nutty long-grain rice. Either naan or rice is handy for soaking up the sauces that will likely be all over your plate. If only getting one, I'd opt for the naan. [beverage] mango lassi: a chilled yogurt drink that's flavored with mangoes (and looks it -- it's mango orange in color). There are usually multiple lassi options on a menu, and I tend to like any of the sweet ones (strawberry, banana, rose). Even though it's more traditional, I'd steer you away from the plain one unless you really like unflavored yogurt and the salty one unless, well, unless you really like salt. 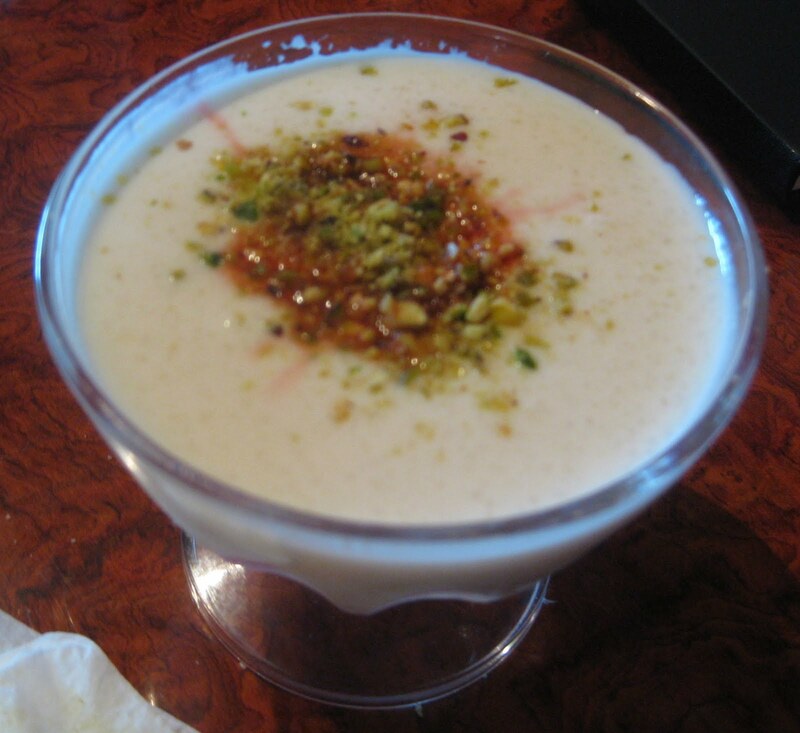 [dessert] kheer: Similar to American rice pudding but usually a thinner consistency, kheer is a sweet milky dish that's typically seasoned with cardamom and saffron. Also, the server may bring you a complimentary order of papadom (also known as pappar), a super thin crispy Indian bread made from lentil flour. It resembles tortilla chips and, like tortilla chips, is easy to devour absentmindedly if it's sitting in front of you. Regarding the various sauces he may bring out with it (usually a mint sauce and a spicy sauce), I typically don't bother using those as I think papadom tastes better plain. After you've had your first Indian meal, and fallen in love with the cuisine (I hope), definitely come back to saagAHH for info on the best places to put your newly enriched palette to the test. By the way, all of the above recommendations are for North Indian cuisine, which is the most common kind in U.S. restaurants and the kind I'm most familiar with. However, if you do find yourself in a South Indian restaurant (you'll know if any of the above items are missing from the menu), then go for a dosa, an Indian "crepe" (made from lentils) -- and fill it with whatever fillings you like best (potatoes dosas are one of most popular). Happy eating and let me know how it goes! Thank you for this very useful posting. I will remember this for my next first time visit to Indian restaurants (there are quite a lot here at Jakarta).